The mission of Von Housen Automotive Group’s Charitable Contribution Program is to support the needs of the communities we serve by supporting non-profit organizations dedicated to support youth health and wellness, youth empowerment and workforce development, and regional economic development initiatives. Von Housen Automotive Group reviews applications on a semi-annual basis. It is advised to submit requests for donations for programs or events 6-12 months in advance. Thank you! Von Housen loves to support our Sacramento Kings! We cruised around Downtown Sacramento in a 2019 Mercedes-Benz E450 Coupe for our Kings ad. Huge thank you to Helwig Winery for letting the Von Housen team film at their beautiful property. Visit any of our three NorCal locations, or our website to find your next adventure! Von Housen presented the 2018 Greg Vaughn Celebrity Golf Tournament benefitting the Juvenile Diabetes Research Foundation. Thank you to everyone who came out to play and made this event possible. Check out Fox 40’s newest segment dubbed “40 Blocks” presented by Von Housen. On October 19, Fox 40 Host Scott Moak caught up with retired MLB All-Star Greg Vaughn while driving 40 blocks through Sacramento in a 2019 Mercedes-Benz E450 Coupe. Their journey takes them through the region, while Greg touched on his work with the Juvenile Diabetes Research Foundation, and his love for his team at Mercedes-Benz. The 2018 Albie Champions Gala was hosted at our Mercedes-Benz of Rocklin dealership. The benefited Sacramento’s only organization providing direct resources and support to breast cancer patients and their families. The event featured a silent auction, live music, tasty bites from Jackson Catering & Events and beverages. We’ve purchased a 25,000 square foot facility and 2.3 acres at the corner of Arden and Bell in the Arden-Arcade neighborhood of Sacramento. The new site will house a state-of-the-art Mercedes-Benz Sprinter dealership and will employ a staff estimated at 25 plus employees after an extensive, privately-funded investment of more than $6 million. Bob Hunter joined Von Housen in 1997 and over the past 21 years has served in a variety of roles, including service advisor, sales consultant, finance manager, sales manager, general manager of Mercedes-Benz of Rocklin, and director of sales for Von Housen Automotive Group (Rocklin-Sacramento-El Dorado Hills). Hunter is a 32-year veteran in the automotive business, and under his sales leadership, the company’s overall sales increased 16% year over year from 2017 to 2018. 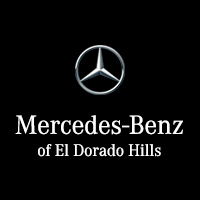 Mercedes-Benz of El Dorado Hills has been recognized as one of the Top 50 Fastest-Growing Locally-Based Companies in Sacramento. We are proud of our multi-generational, family-owned business. Thanks to you, our customers, and our team for helping us grow in our great community. Von Housen sponsored the Summer Concert Series Kick-Off Party on June 16, 2018 at the all new Quarry Park Adventures. The community enjoyed a fun filled night of great music, food and got an exclusive look at the all new Quarry Kidz Kove and Quinn Lake. The Mercedes-Benz GLE has been promoted from a TOP SAFETY PICK award to the TOP SAFETY PICK+ status, further acknowledgment of our commitment to your safety.